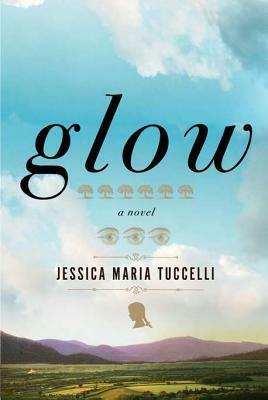 Glow by Jessica Maria Tuccelli. Published on : March 15th, 2012 by Penguin Group, USA. A breathtaking Georgia-mountain epic about the complex bond of mothers and daughters across a century. In the autumn of 1941, Amelia J. McGee, a young woman of Cherokee and Scotch-Irish descent, and an outspoken pamphleteer for the NAACP, hastily sends her daughter, Ella, alone on a bus home to Georgia in the middle of the night-a desperate action that is met with dire consequences when the child encounters two drifters and is left for dead on the side of the road. Ella awakens to find herself in the homestead of Willie Mae Cotton, a wise hoodoo practitioner and former slave, and her partner, Mary-Mary Freeborn, tucked deep in the Takatoka forest. As Ella begins to heal, the legacies of her lineage are revealed. "Glow" transports us from Washington, D.C., on the brink of World War II to 1836 and into the mountain coves of Hopewell County, Georgia, full of ghosts both real and imagined. Illuminating the tragedy of human frailty, the power of friendship and hope, and the fiercest of all human bonds-mother love-this stunning debut will appeal to readers of both Sue Monk Kidd's "The Secret Life of Bees" and Amy Green's "Bloodroot." More than anything, her writing makes you feel and think. All I can say is that Glow was wonderful. I love historical fiction but i steer clear of any stories set around the WW, it scares me lol.